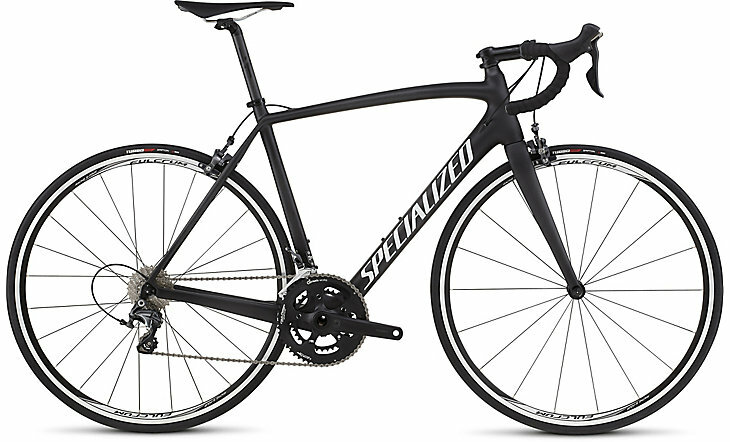 Specialized Tarmac comp. This road bike is a high quality racing bike. Light full carbon frame and fork with ultegra components. We provide the road bikes with 2 bottle holders, repair kit which includes a pump, spare inner tube, parch kit & tire leavers & multi-allen keys. We also include locks!